We’ve already built the Three Rivers Angling Adventures site for Patrick Oliver. He’s now had us rebuild his Creative Garden Care site. The original site was a Vista Print site that was almost invisible in relevant searches on Google. 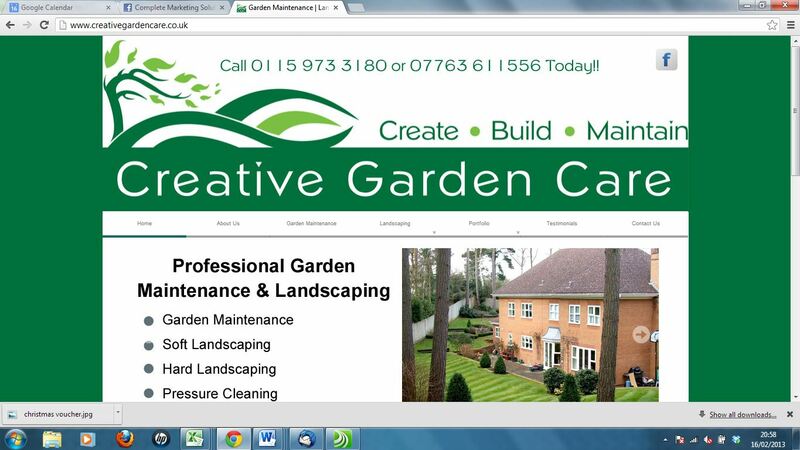 We’ve built the new Creative Garden Care site to focus on Garden Maintenance and Landscaping in the Long Eaton area. After 3 days the site has achieved page 1 listings on Google in some of the targetted searches.